Bell County School District is classified as Other according to the KDE 2017-2018 Accountability System. ALL Bell County Schools are classified as Other at all levels (Elementary, Middle, and High School levels). Other is the highest achievement classification that a school or district can receive for the 2017-2018 school year. Please note the following: For the 2017-2018 school year, there are three classifications for schools and districts. 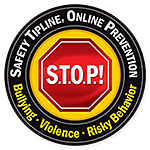 CSI which stands for Comprehensive Support and Improvement, TSI which is Targeted Support and Improvement, and finally Other which means that your school or district achievement is at a level that does not require support and assistance from the state. On Thursday, April 11, 2019, seniors who had been accepted into a college were honored at the annual College Signing Day held at the Pine Mountain State Resort Park. On Saturday, March 2nd, 2019, the Bell County Gear Up Crew participated in the Read Across America Celebration at the Middlesboro Mall from 10:00 a.m. til 2:00 p.m. 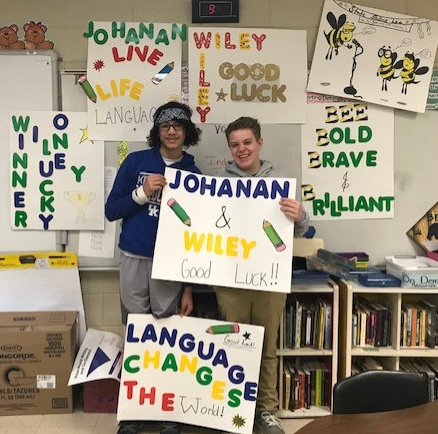 The faculty, staff, and students at Frakes School Center gave them a tremendous Send Off for Luck as they traveled to Louisville to compete at Governor's Cup and Johanan also competed in the Kentucky Derby Spelling Bee! 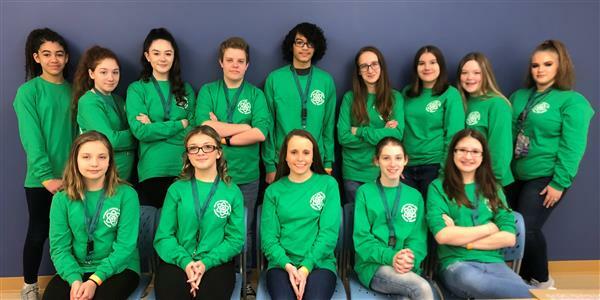 The team finished in 2nd place overall and advance to the State Competition on April 13th. Bell County Girls won the 13th Region 2A tournament by defeating Knox Central in the opening round and Corbin in the championship game.